The core principle of our business is to provide a high quality service at a sensible price. 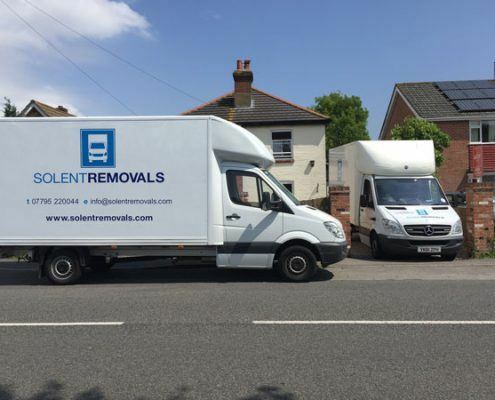 When you contact Solent Removals, you will deal with Mark from the initial enquiry through to job completion – it really is a completely personal service. No job is too small – whether you need a single item moved a short distance or a number of items moved from one city to another; we are the perfect choice. We guarantee to offer you outstanding value for money – if you do find a cheaper price, just ask us to beat it and we will do our very best! A large proportion of our work comes from recommendations and repeat business. Take a look at our testimonials to see our commitment to delivering a first class removals service. Moving can be a stressful experience. 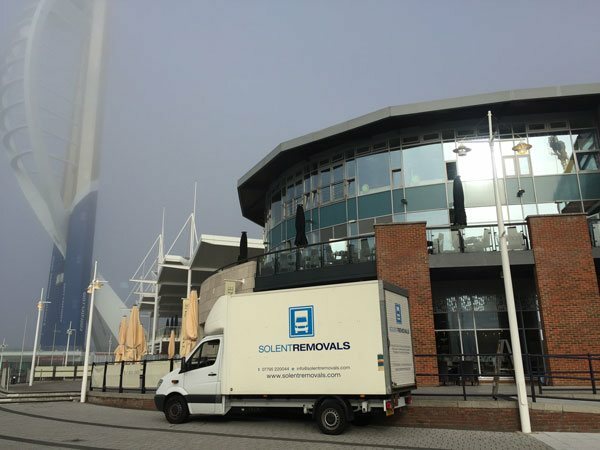 Solent Removals Southampton can lighten the load, but there are also quite a few things to bear in mind on the day of the move to ensure that everything goes as smoothly as possible. Have a look below or head over to our handy downloadable moving house checklist. Many properties have yellow lines or parking bays outside – this can make parking a problem. In such cases, parking dispensation will be required. Unfortunately, this is something that only you as a resident can arrange, but we can help by supplying you with all the necessary information and relevant telephone numbers for your local council. These are deceptively heavy, so please make use of the smaller boxes for packing these items. Alternatively, you can half fill the larger cartons with lighter items on top – always avoiding putting too many items into a box. It’s also a great ideas to clearly label all boxes with their contents and the room they need to go into. These can be left filled with linen and clothes as long as they are not too heavy. Any fragile or valuable items should, however, be packed separately and drawers in divan beds should be emptied. On the day, we can provide boxes for the contents of your wardrobes, but please ensure all hangers are packed the same way round as this makes re-hanging easier. Any other small items from wardrobes should be packed separately. Please check that all items are clear of any dirt or food residue as this promotes mould. It’s best to pack only 5 or 6 smaller plants into a box ensuring that some packing material is placed between the pots to prevent them from toppling over. Seal the box with the flaps up to give extra protection and to allow the plants to breathe. Please advise us of any larger plants that require special treatment and leave their packing to us. Please note that, whilst we will take every care of your plants, they are not covered by insurance. These should be completely emptied and fully defrosted prior to removal. Gas and electric cookers can usually be disconnected by the householder but, if in doubt, please seek advice from a professional. Clean off any grease, particularly from the exterior of the cooker, as this can result in a nasty accident. Remove any loose fittings from the cooker (such as hob plates) and pack separately. If you have a microwave oven, the glass base plate should also be removed and packed separately. These should be disconnected, drained and have any contents removed. A drum-locking bar should also be fitted. We have moved many machines without locking bars being fitted without any problems; however, your manufacturer’s warranty does usually require a locking bar to be fitted. Well in advance of your move, you should contact your utility companies (telephone, internet, water, gas and electric) and inform them you will be vacating the premises. You should also notify the Post Office of your new address so that you can redirect your mail. It is also worth considering telephoning or e-mailing friends and associates to let them know of your change of address. To ensure a speedy removal and delivery of your goods, it is important that both the premises you are leaving and the one to which we are delivering, have good access for our vehicles. It should be noted that if we have quoted for delivery to an address with good access and this is not the case, your quote may be subject to adjustment.It is also important that someone is present at the destination to provide access and advise us where to unload the consignment. Within reason, your furniture will be placed where you require it to be situated. Labelling of boxes makes distributing them to the right rooms much easier. It is a good idea to have a room set aside for boxes that do not need to be unpacked immediately as this will minimise clutter. Children are always excited about moving and will want to help. However, loading a removal van can be dangerous. We would therefore ask that any children be well supervised and kept at a safe distance from the van and the crew whilst they are working. Before you leave, make sure that everything has been loaded. Check all rooms, paying special attention to fitted wardrobes/cupboards, lofts/attics, garages and sheds. Only when you are completely satisifed that nothing has been left should you decide to vacate the premises. Our professional, experienced crew are always helpful and courteous. They are responsible for the safe delivery of your goods and take their work very seriously. Moving is heavy work, requiring lots of physical effort… so the odd cup of tea would be most welcome! Click the button below to receive a friendly no obligation quotation.